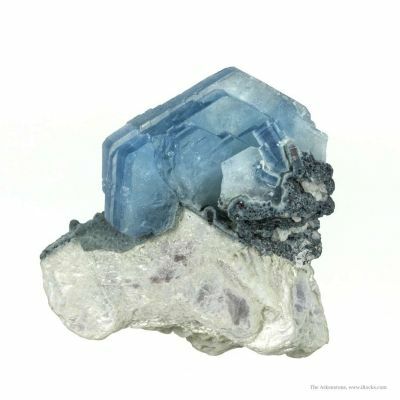 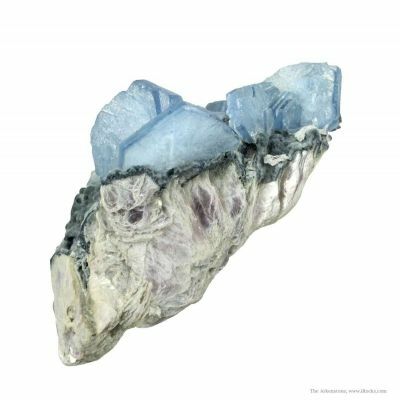 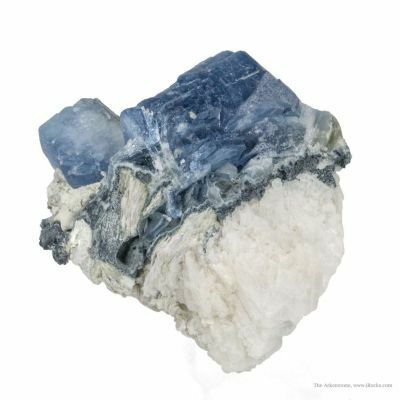 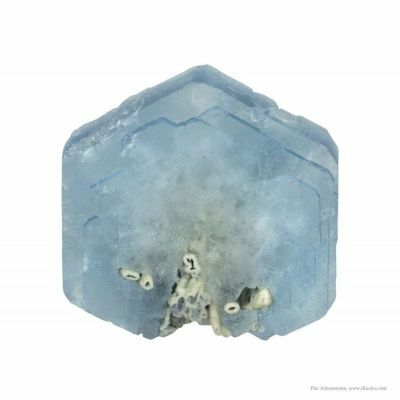 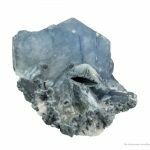 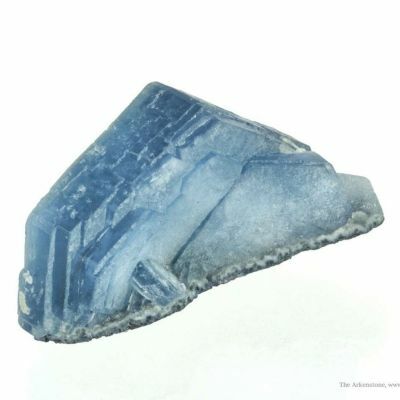 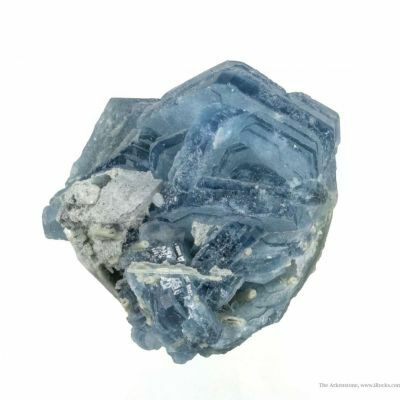 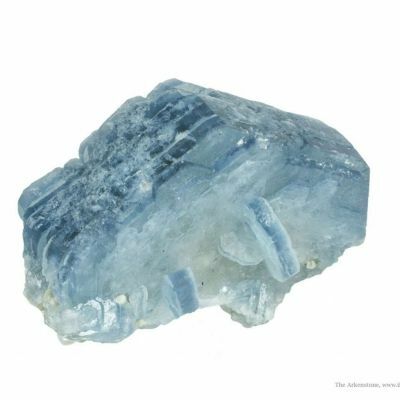 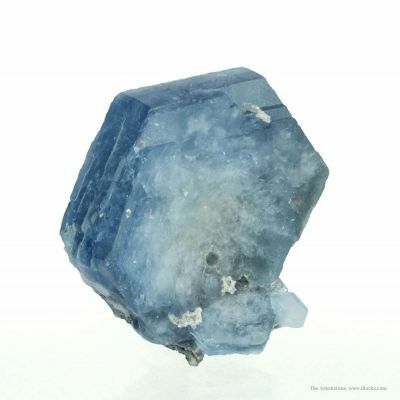 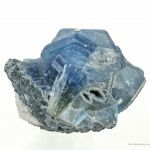 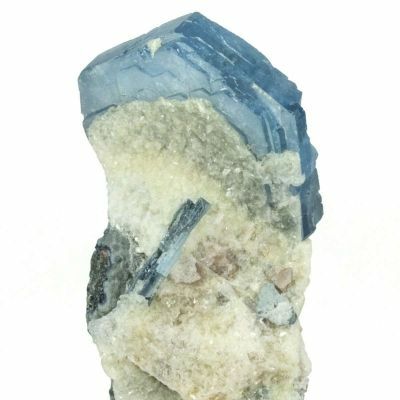 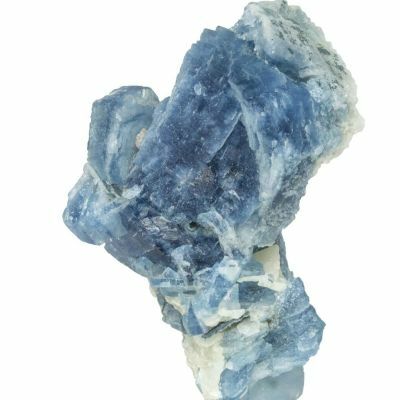 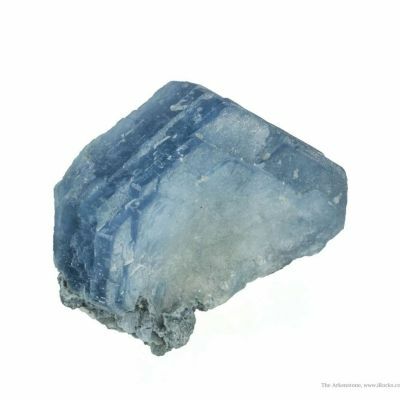 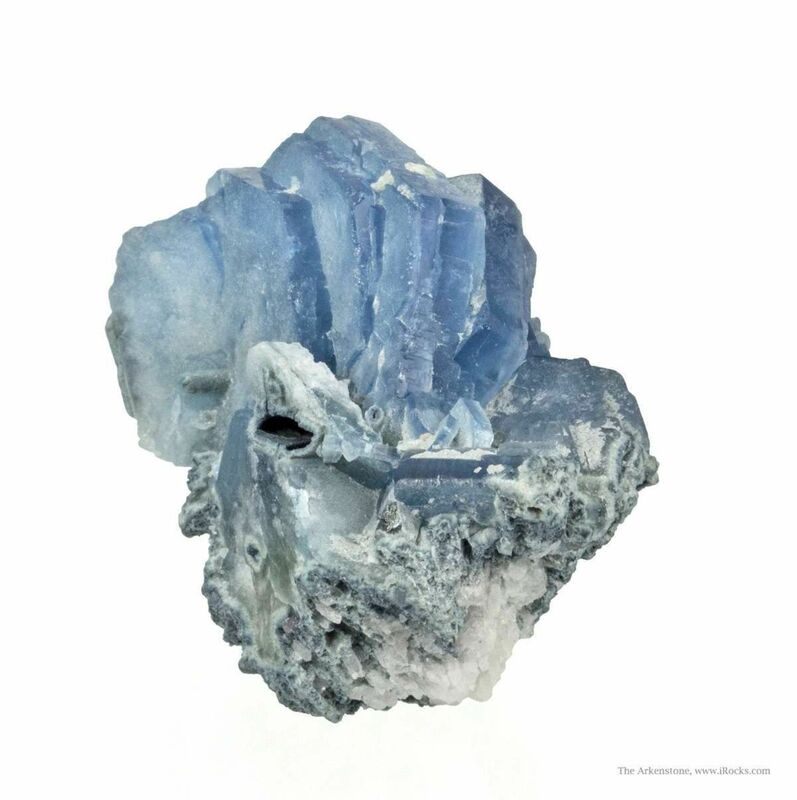 This is a dramatic, intense blue cluster of parallel growth, tabular, lustrous crystals. 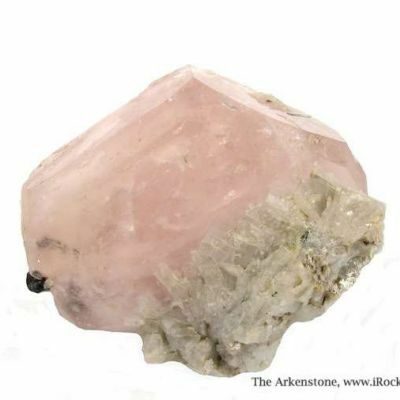 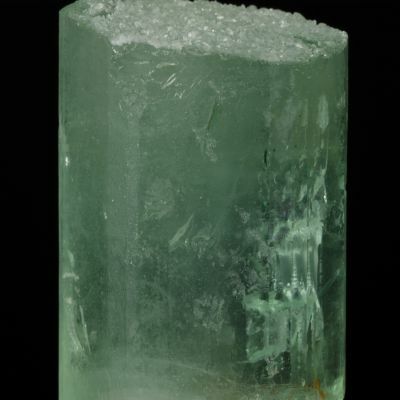 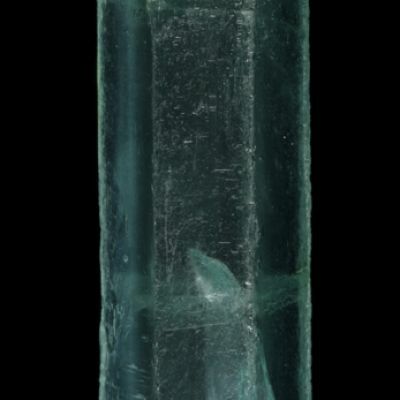 They are sharp and translucent, rare alkali-rich beryl crystals, to 2.5 cm across. 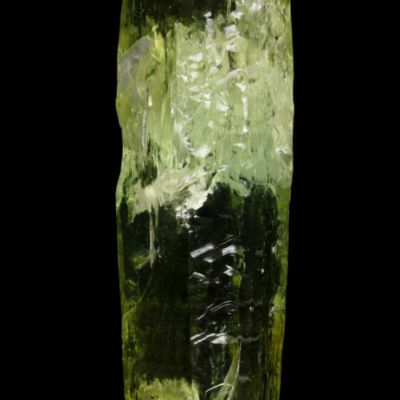 Very showy! 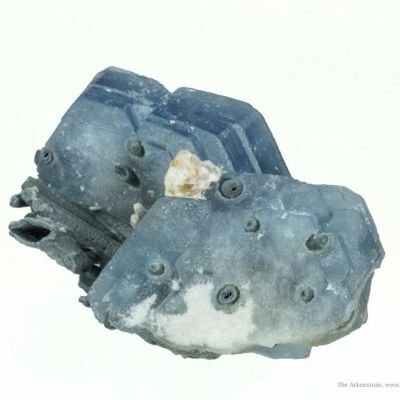 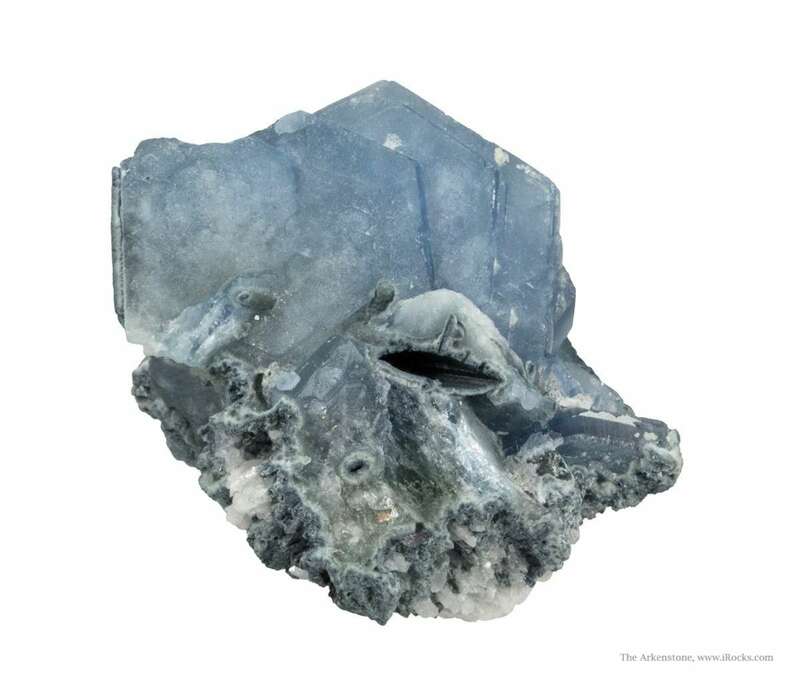 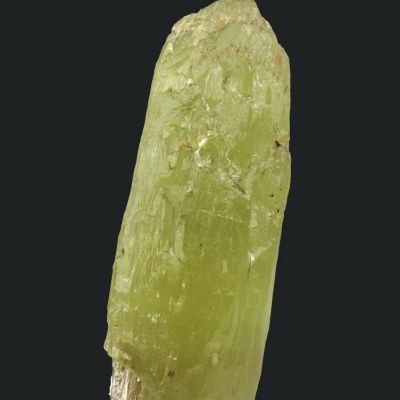 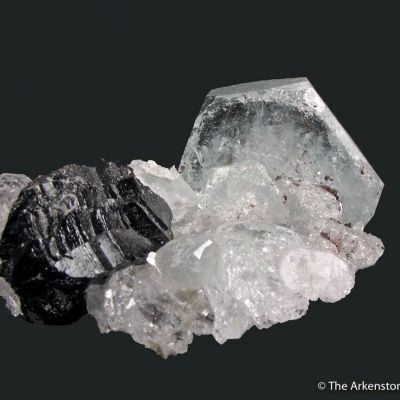 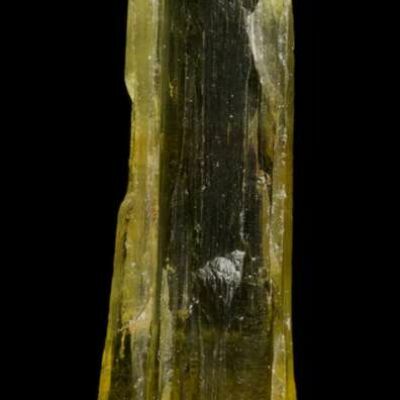 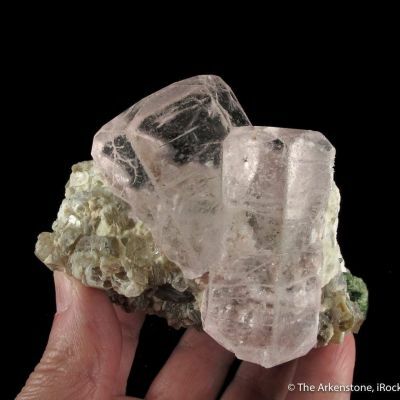 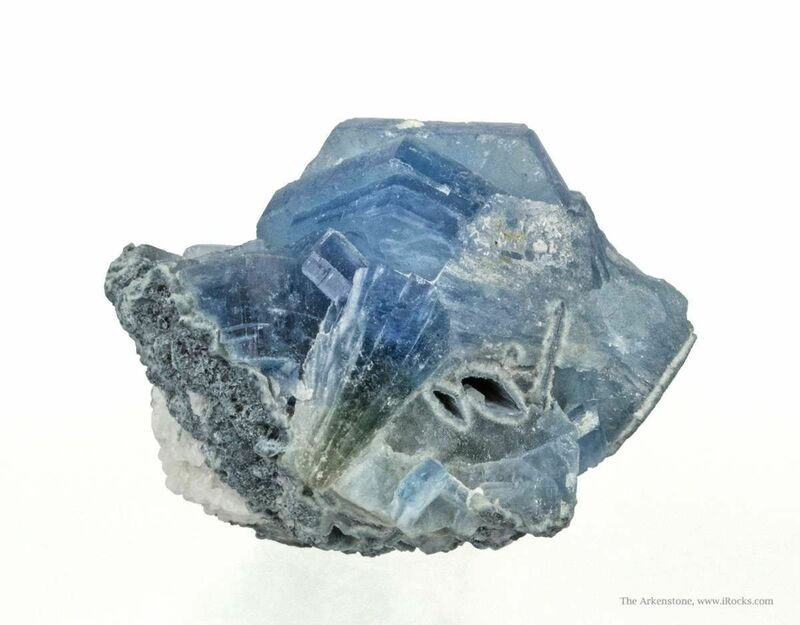 These were originally thought to be Rosterite or Vorobyevite, but further analysis by Dr. Federico Pezzotta confirmed they are alkali-rich beryls.